Wider tires equal increased traction, greater stability and more fun. That’s what the Surplus-e is all about. 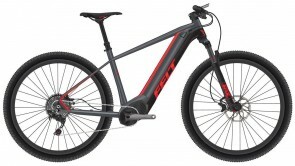 Built around a rugged yet lightweight 6061 aluminum frame, the Surplus-e features the 27.5+ wheel platform prized by riders looking to enhance their ride quality with bigger tires to tackle tougher terrain without sacrificing the impeccable handling characteristics for which Felt hardtail mountain bikes are known. 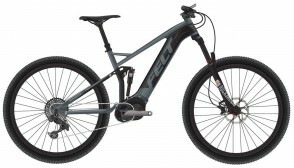 With a powerful, effcient and long-lasting electric motor, the Surplus-e is everything you want in a mountain bike, and more.